Hopping on 435 in the morning can be the last thing a person thinks of when going about their normal routine. With thoughts of getting the kids to school, which song to listen to on the radio, getting around road construction or maybe finding a gas station on your commute? Then suddenly, you hear a buzz from your phone. Do you check it or wait till you’re stopped? 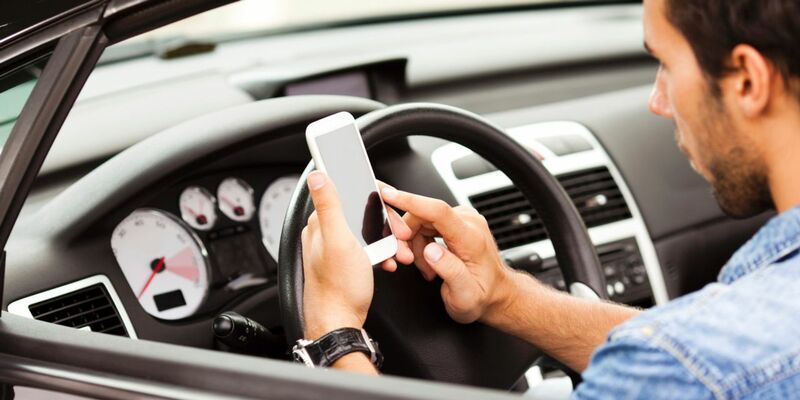 In a recent National Highway Traffic Safety Administration study, the NHTS indicates that individual’s texting while driving is six times more dangerous than driving while intoxicated. The average text takes a driver’s eyes off the road for 4.6 seconds. In less time than the average yawn a driver is 23 percent more likely to be involved in a crash. To put that into perspective, if a vehicle is driving 55 mph, the average driver doesn’t look at the road for the length of the entire Arrowhead field. 100 yards in 4.6 seconds at 55 mph. The Transport Research Laboratory in London recently performed a test that found drivers who were texting had slower response times, and were more likely to swerve in and out of lanes. Those studied in this test had a slower response rate than drivers who were high on marijuana. The TRL study found that drivers who text while driving have a 35% slower response rate than those of drivers with no distractions. Car and Driver Magazine recently performed a test to document how dangerous texting and driving can be, when compared to drunk driving. The experiment consisted of cars rigged with a red light to alert drivers when to brake. Car and Driver tested how long it would take for a sober driver to hit the brakes, how long it would take while driving legally impaired with a Blood Alcohol content of 0.08%, that of a sober driver that was reading an e-mail and while sending a text. The sober driver was able to hit the brakes in the vehicle within 0.54 seconds. For legally drunk drivers it added an additional four feet to stop the car. An additional 36 feet were needed to stop the vehicle while sending the e-mail and an astounding 70 feet was needed for sending a text message.